Want to get some great nature photos? Just grab a camera and follow these easy tips! •Think of your camera’s viewfinder as a picture frame. Try to match the frame to the shape of your subject. 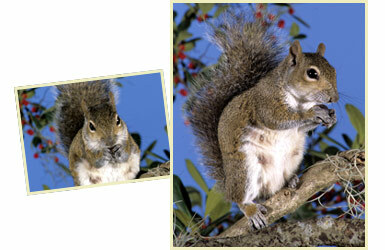 •If you have an up-and-down subject, don’t hold the camera in the “normal” way (like the smaller photo on the left). Turn your camera side-ways to fit the shape of your subject. •If you shoot toward the sun, your subject may come out too dark (like the smaller photo on the left). •Shoot with the sun behind you or to the side and the subject will come out just right. •If you shoot in bright, midday sun, your photo may have lots of glare and dark shadows (below left). •Wait for a cloud to come along, or shoot early or late in the day. That will “soften” the glare and shadows for a more pleasing photo (below right). •Small things can “disappear” if you shoot from too far away (below left). 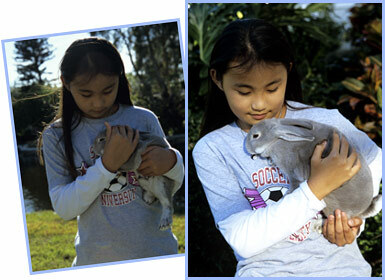 •”Supersize” your subject by using your camera’s zoom or by moving closer (below right). •Check all parts of your frame before you shoot. Watch for stuff that doesn’t belong—and takes attention away from your subject (below left). 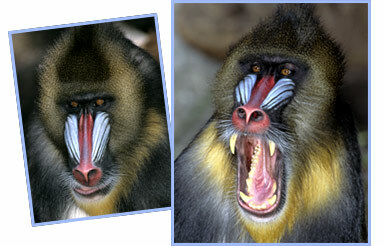 •Move your subject (or yourself) or zoom in to get a simpler, uncluttered background (below right). •Got a subject at ground level? Aiming down (lower left) might be OK, but . . .
•. . . it’s usually better to get down on your knees or even your belly and go eye to eye (lower right). •Think you have a good shot lined up? Go ahead and shoot (lower left). But then wait a moment. •With patience, you may turn a good shot into a great one (lower right). Try to catch that magical moment! Once you have a great photo, enter it into a photo contest! 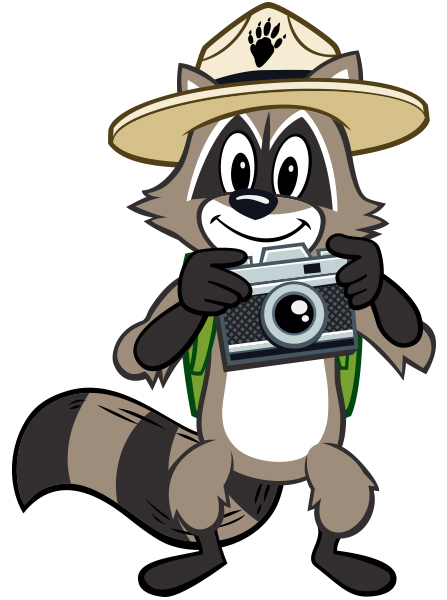 Enter Ranger Rick’s “Your Best Shots” photo contest! •Watch your shadow—it can scare your subject. •Be careful where you walk—don’t step on flowers or other delicate living things. •Never disturb an animal you’re shooting.